If you don’t get the gig, don’t beat yourself up. There will always be another game show. 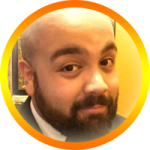 Christian Carrion is also not just only a BuzzerBlog writer, but also the epitome of excitement and passion for game shows. And it shows: he keeps getting on them! He’s won a sofa on the Price is Right, made #TeamMeowMeow a household hashtag on the Chase, almost stole Merideth Viera’s job on Who Wants to be a Millionaire. In this essay, Christian discusses his various hits and misses in the world of signing up for game shows. A socially inept applicant who knows exactly how much to wager on any given Daily Double will not make the cut. I’ve been on half a dozen game shows since the day I turned 18. So can you. If one game show doesn’t take you, try another. And another. And another. After a while, give that first game show a second try.